Framework development that provides inexpensive, stable electricity supply to the current TEPCO service area. These two needs are absolutely critical. Whether the current TEPCO continues to exist or not, or whether TEPCO is nationalized or not, is not nearly as important. The compensation support scheme under the Nuclear Damage Liability Facilitation Fund Law enacted in August last year does consider the market impact of a bankruptcy by TEPCO, which maintains the largest balance of issued corporate bonds in Japan and also has numerous shareholders, and provides for the continued existence of TEPCO (see figure below). A big question remains, however, over such a continued existence in its current form, given the particular nature of the electric power business. Even if public funds as the source of compensation were supplied through the Facilitation Fund, huge capital expenditures are also required for business operations. Financing will be critical here. Under public control, the bulk of profits will vanish through compensation payments and Facilitation Fund repayments. TEPCO faces a long period without any payout of dividends under such a path of complete subjugation. Shares of TEPCO, therefore, will no longer provide a financing mechanism to grow the company. Slashed credit ratings mean that financing through issuance of corporate bonds will be difficult. In essence, the continued, adroit management of the electric power business by TEPCO is severely threatened. Massive capital expenditures are required for electricity, yet dried-up financing would impair the corporate mission of inexpensive, stable power supply, and seriously damage the entire economy of Japan. The continued existence of TEPCO in its current form appears difficult. As an indisputable fact related to compensation payments, the largest cost increase factor for TEPCO after the Fukushima Dai-Ichi nuclear accident concerns the fuel expenses for operating thermal power plants as a consequential alternative to the shutdowns of the nuclear power plants. The largest factor in increased expenses is the additional fuel purchases of LNG, coal, and oil. These figures are far greater than the benefits realized from a thorough restructuring at TEPCO and the annual amounts payable to the Facilitation Fund through the compensation support scheme under the Nuclear Damage Liability Facilitation Fund Law. 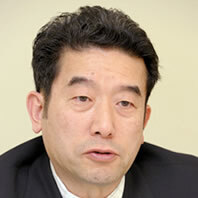 Considered soberly, this fact point to an unavoidable increase of electricity rates in the near future, in order to allow TEPCO to make proper compensation, and to an unavoidable need to restart TEPCO’s Kashiwazaki Kariwa Nuclear Power Plant, in order to minimize the amount of rate increases. Yet the public has no intention of accepting any rate increase or restart of Kashiwazaki Kariwa Nuclear Power Plant under the existing corporate governance of TEPCO. The conditions required for such a rate increase and restart would be a completely new corporate organization at TEPCO, and, in that sense, the temporary nationalization of TEPCO is a foregone fact. Of course, regardless of whether TEPCO is nationalized provisionally or possibly liquidated through bankruptcy, the business inheriting the assets of TEPCO and engaged to serve its area with the stable supply of inexpensive electricity will ultimately take the form of a private enterprise. This is because a nationalized business will have difficulty in achieving the stable supply of inexpensive electricity. As a consequence of the large tsunami that followed the Great East Japan Earthquake, TEPCO lost a combined 9.1 million kW of output from Fukushima Dai-Ichi and Dai-Ni Nuclear Power Plants, and a total 9.2 million kW of output from three thermal power plants: Hirono, Hitachi Naka, and Kashima. In order to overcome the power crisis last summer, reinstatement work at these three thermal plants continued day and night on-site, and the three plants consequently achieved miraculous recoveries by July. The driving force that achieved these miracles was the strong determination at these plants to prevent power outages at all cost. Strong on-site capability was also seen in the handling of matters after the accident at Fukushima Dai-Ichi among the “Fukushima 50,” the workers who were recognized internationally. The essence of the TEPCO problem appears to be a mismatch between strong on-site capability and weak management capability. In order to fully refresh its management capability, TEPCO must quickly move forward to establish a completely new management organization through temporary nationalization as an aid, and proceed with liquidation as the case may be. Otherwise, on-site morale will erode and strong on-site capability could be impaired. During the framework development process for the stable supply of inexpensive electricity within the current service area of TEPCO, maintaining strong on-site capability will be more important than anything else. We should not misread what society truly demands in resolving this TEPCO problem.